I believe in pursuing commercially and strategically sensible resolutions to disputes. 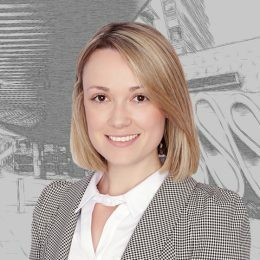 I have over five years’ experience advising on multi-million-dollar commercial litigation and dispute resolution matters including disputes related to commercial contracts, Australian Consumer Law, trade practices, negligence, bankruptcy and debt recovery and have litigated in the Supreme, District and Magistrates Courts of Queensland, in addition to interstate Courts and tribunals. I also have a background in Land Court proceedings, having advised and acted on behalf of both mining corporations and statutory bodies in relation to appeals against financial assurance decisions, applications to stay administrative decisions, and objections to proposed mining lease and environmental authorities. I have recent in-house experience in the Department of Environment and Heritage Protection providing compliance and enforcement legal services and representing the department in appeals against statutory decisions. I have been on the Board of Directors for the National Environmental Law Association (NELA) since June 2016, assisting in the administration of the Association and promotion of its mission to protect the environment by shaping the law through information sharing, analysis and debate. I have acted for large companies, small business, directors, political parties, politicians, statutory bodies and high-wealth individuals.